Reiki is a Japanese spiritual healing practice whose roots can be traced back to the early 20th century. The word Reiki means, roughly, higher intelligence or subtle wisdom (rei) and non-physical energy or the life force that flows through everything (ki). Usually, it’s done by one practitioner or Reiki master who quietly moves from head to foot gently laying his/her hands on or over specific touch points. I had my first session recently with two practitioners. Mary Jo Dibenedetto (at my feet) and Ilma Mendoza (at my head), mirroring each other’s movements. According to Reiki practitioners, the purpose of this “laying on of hands” is to transfer energy so that the person on the receiving end will be able to let go of stress and be more relaxed. It certainly worked for me. I’d thundered into the room full of nervous energy and left enveloped by a soft cloud of contentment. Little research has been done on Reiki and most of what has been done failed to show a clear health benefit. None showed any negative effects. 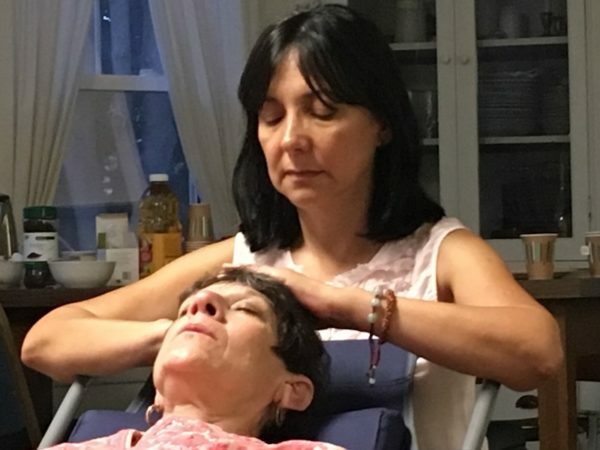 One small study at Yale-New Haven Hospital in 2010 did show that a 20-minute Reiki session had a positive short-term effect on heart attack patients. Participants experienced a decrease in negative emotions (such as stress) and an increase in positive emotions (feeling happy/relaxed). The study was reported in the Journal of the American College of Cardiology. He also explained that when he is doing Reiki on someone, it’s almost meditative. He lets go of his own thoughts, focuses on the needs of the other person, and simply allows positive healing energy to flow. One day, his work hosted a wellness fair which led him to Reiki. He said it made him feel relaxed. He also began to sit taller and life felt good again. He learned how to do Reiki on himself and in 2002, decided to open his own Reiki practice to help other people feel better. Many people we see are dealing with either chronic pain or anxiety and those tend to go together. Once somebody has had chronic pain for years and years, they’ve built up patterns of tension. They can’t relax. They don’t even know they can’t relax. Just having 15 minutes of sort of a timeout gives them permission to relax. They also discover that a part of their chronic pain is the constant tension they have. Ilma, who is originally from Venezuela, was a physical therapist and Chinese medicine practitioner until she moved to Maine a year ago. She is now studying massage therapy and has been a Reiki practitioner for two years. As a physical therapist, she was mostly focused on bones and muscles, but then she had a Reiki session. It was perfect. It was the same as I expected and I thought, ok, this is what I’m looking for to complement the other things I do for my patients. 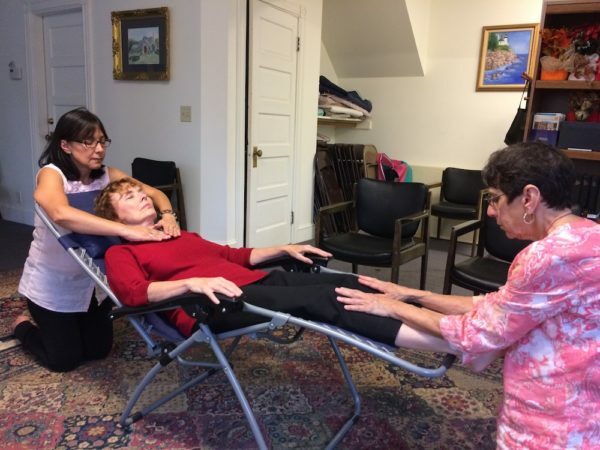 Mary Jo has been doing Reiki for 10 years, beginning at the Reiki Volunteer Program at Maine Medical Center in Portland. She first learned about the practice when she attended a Maine Healing Arts Festival. I was in a cabin with Reiki practitioners and masters and a woman took a fall down some stairs. They all went over and laid their hands on her and I went oh, that’s very interesting. If I ever get a chance I’d like to learn it. We are trying to make a simple description of Reiki available to the public. We hope people will trust and try and that we can bring benefit to our communities. They already offer a number of Reiki opportunities in their community. 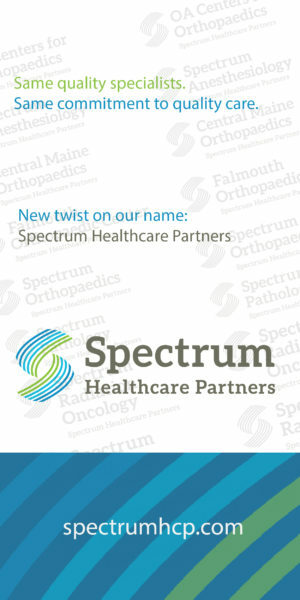 Twice a week, they hold a Reiki clinic at Integr8, an integrative health and medical cannabis practice in Falmouth, Maine. 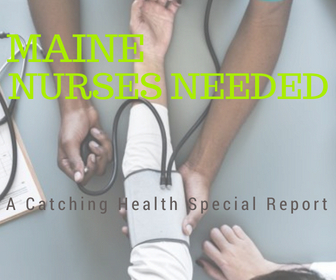 Nurse Practitioner Jay Reighly is a strong advocate. Often I will ask Jeff to offer Reiki to a patient with elevated blood pressure. After a 20-30 minute session, the patient’s blood pressure will have dropped 30 points. 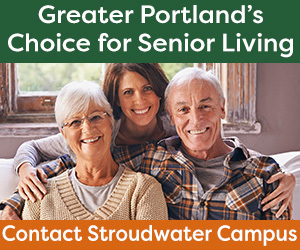 Four afternoons a week, the group offers free Reiki sessions at the Portland Community Recovery Center, which provides a safe haven for people in addiction recovery. Tammy Riley is the Reiki practitioner who coordinates the volunteers. For most of our clients, the traditional medical ways of dealing with pain, anxiety, PTSD, and other issues, are not available to them because they are in recovery for substance use disorder. The Reiki clinic at PRCC offers them an alternative method of healing in a safe, supportive environment. Reiki gives them a way to come home to themselves, get centered and grounded. 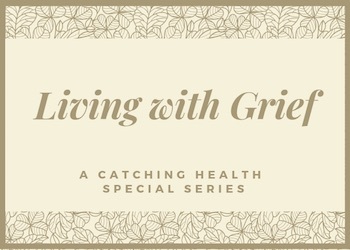 It is particularly helpful with clients working through the 12 step program of recovery. As a practitioner, it gives me great joy to be able to offer the healing art of Reiki to individuals during their journey of recovery. 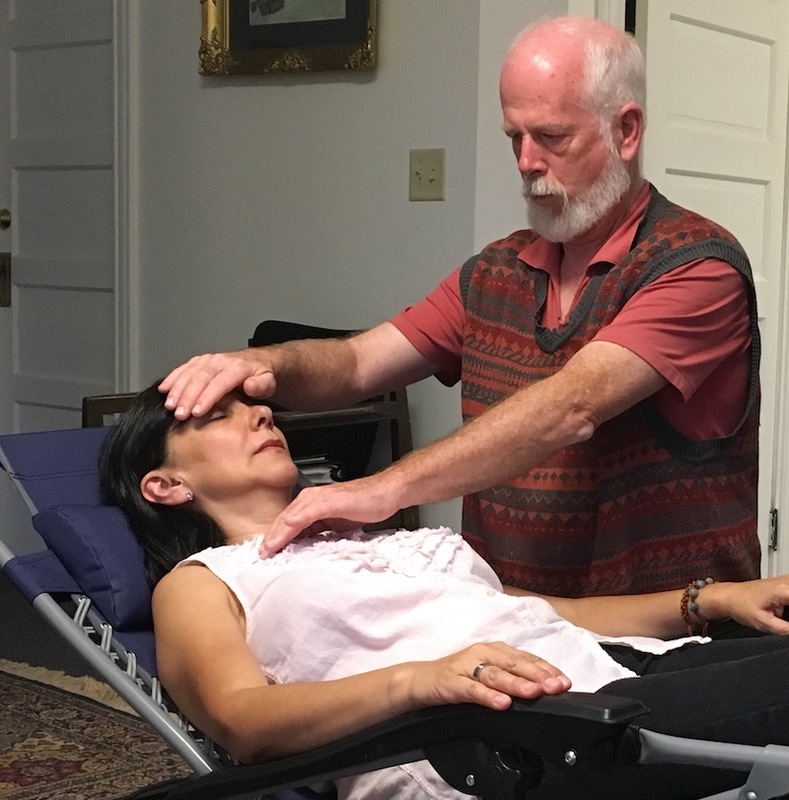 On Thursdays, Mary Jo offers free Reiki sessions for wounded veterans and their families at Bethany House, behind St. Peter’s Episcopal Church in Portland. It helps relieve their stress and also helps with anxiety, pain, insomnia, and PTSD. One member of the group, Kim Sweat, even does Reiki on animals at the Animal Refuge League of Greater Portland. 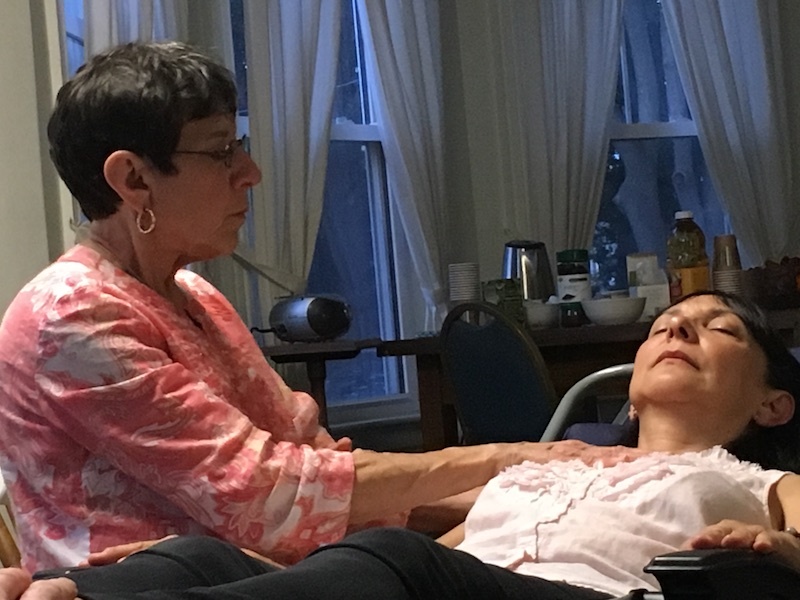 Below is a short video of my Reiki session with Mary Jo and Ilma. While they don’t move much in the clip, throughout the session they did — quietly and slowly. Can you see how relaxed I was? I can’t tell you if any healing happened. I can tell you that I felt peaceful and nurtured and that in itself is healing enough for me.